Advent is one of my favorite times of the whole liturgical year! Even though there is lots of cold and dark, these common things we don’t think too much about can help us enter in more deeply to God’s plan for us. Darkness: it makes us hungry for the light. I remember when I was hiking in college with one of my best friends. 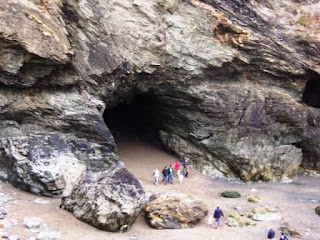 We had been looking for a while to find this cave that other students had explored. We eventually found it and, of course, we went inside. I learned a lot from this experience (besides nearly getting stuck inside)! We turned off our flashlights at one point…it was the darkest place I had ever been. I could not even see my hand when I put it up to my face! But to my surprise, when fumbling, I lit a match in the dark; the light from it was surprisingly bright. I would have never expected so much light from one match. The whole season makes us feel the very same hunger for the coming of the Messiah that the people of Israel felt for centuries. They felt like God might have abandoned them, and things all around seemed only to get more and more dark. All of the readings for Mass and the songs we sing (O Come, O Come, Emmanuel!) are meant to make our hearts stretch and remind us to live in expectation of Jesus! But when he came, what was it like? Not flashy, not with big fanfare and Times Square billboards. No, he came with one “yes” from a heart totally waiting and ready for him. And the light he brought into the world was nothing like what we could have imagined. Who could possibly think that God would become an infant, born in a stable? It began as one small light burning in the heart of Mary, in her womb, in her arms, and at rest in the stable of Bethlehem. Like one candle burning in a dark place, he came into the world to set it all afire with his love. 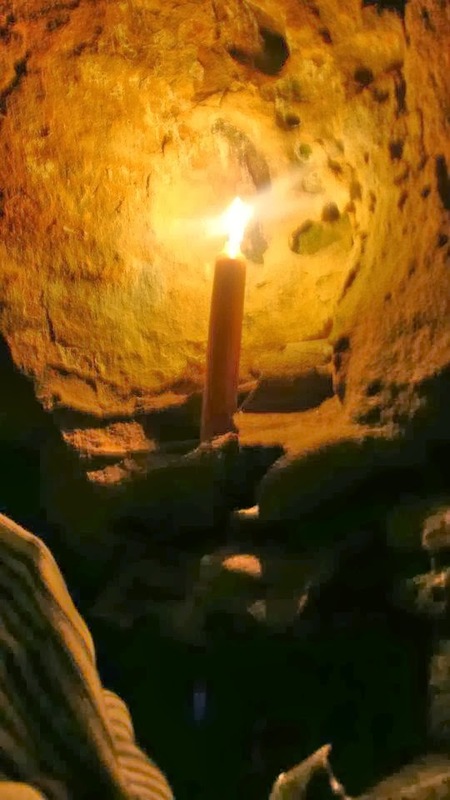 He wants to do the same in our hearts in a new and unexpected way this Advent, To come into the dark places of our lives still awaiting the fire of his love. To come, to make us free, to make us new. Let us give permission as Mary did that Jesus can come to give us his light and joy.